In this tutorial you will learn about Multi-Tier Backlinking, its vitality & aspects. Multi-Tier link building is one of the most effective & optimum ways of link building at the moment. It’s basically the process of building multiple tiers of links to a target site. Not only it protects your site from future Google Algorithm updates but also it helps you to build a relevant, organic & diversified backlink profile to rank your site on top of Google. a) Boosts Link Power: Multi-Tier linking sends a powerful surge to the links that are pointed directly to your site and it directly increases the value of your backlinks & your sites Trust Flow in Google. b) Increases Rankings: Boosting the power of your backlinks through Multi-Tier link building increases your site’s strength and authority, ultimately improving rankings. c) Organic: Multi-Tier link building enables you to maintains an Organic backlink profile. If Google bots detects a high volume of links that appear unnatural, pointing directly to your site then it can be penalized. But, Multi-Tier link building, you can build hundreds & thousands of backlinks that benefit your site & at the same time do not raise red flags. Multi-Tier link building is a unique way in which you essentially build backlinks to your backlinks. But always remember that High Quality & Relevancy is the soul of Multi-Tier link building process & is most important if you want to stay on the top of Google. a) Tier 1 Backlinks: Tier 1 Backlinks are the one's that are directly targeted to your Money Site. The Tier 1 Backlinks will consist of high quality, organic, unique, non promotional & relevant contextual backlinks from Link Authority, PBN's (Private Blog Networks – A costly but effective choice). 1. Web 2.0 Properties: Web 2.0 Properties are the easiest way to forward a huge amount of relevancy and authority to your site without having to spend hours networking. 2. Social Bookmarks: Social Bookmarks are strong & a great way for diversifying your anchor text and backlink profile. Social Bookmarks are also the most easiest & fastest ways to get your websites found and indexed by search engines. Many of the top social bookmarking sites can be a great referral source: for example StumbleUpon, Reddit, Digg, Pinterest & delicious. You can also use highly targeted/niche bookmarking sites to gain qualified visitors. 3. Forum Discussions: Forum Discussions are also a great way to gain backlinks, traffic & most importantly diversification your backlink profile. For Example: If you are providing great help in your answers to a forum question & and you say that a link can offer even more information, that will surely help you generate some clicks. Google likes sites that have both nofollow and dofollow links because it shows genuineness. So despite not having a direct PageRank SEO benefit, this will help improve your subject authority. c) Tier 3 Backlinks: The main aim of building Tier 3 Backlinks is to index your Tier 2 Backlinks. The Tier 3 Backlinks are a mixture of Quality & Quantity. 1. Wiki Links: Wiki Links are used in Tier 3 Backlinks to improve your sites in anchor text and backlinks. 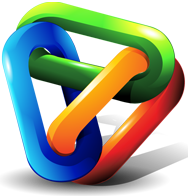 Wiki Links are a great way to diversify backlink profile of your website. 2. Forum Profiles: Forum Profiles is the best way for getting social online. If you provide great solutions & knowledge in forums to help others then your profile can easily gain authority & trust, as by this people will be willing to know more about you & you can easily gain good traffic. 3. Blog Comments: Blog Comments are a great way to build backlinks, because the blogger must approve a comment (and link) before it gets published. Blog Comments are a great way to build relationship in terms of business & it can haul you a good amount of traffic and page rank too. 4. Directory Submission: Directory Submissions are a good way and one of the simplest ways to receive inbound links to build link popularity for your site which will help your Web site rank higher in the search engines. If you use different directories for different purposes, you can achieve this and more. 5. Search Engine Submission: Search engine submission is the process that can get your site listed on search engine listings. Search Engine Submission is a website promotion strategy that lets your site be indexed and listed by search engines. Therefore, site submission is the initial step to getting search engine traffic. 6. Article Submission: Article Submissions are very popular as a link building method, because they offer many other benefits aside from simply building links. Article Submissions are a good way to earn relevant & niche related backlinks & also it improves your online reputation. 7. Other Low Link Building Tactics: These include plenty of Low Link Building strategies that you can use in Tier 3 Backlinks to diversify your anchor & backlink profile and to boost your Tier 2 Backlinks. Mass Links: building a combination of many different links such as web 2.0s, profile links, article directories, social bookmarks, etc. is a good idea. AIM: The main AIM of Multi-Tier Link Building is to increase the authority, relevancy of your site's backlink profile & most importantly bringing DIVERSIFICATION in your site's backlink profile & Anchor text so that your Site Rank on the top in Google & STAY PROTECTED from Google Algorithm Updates. Focus on building high quality tier 1 links to your site. Then increase the strength and authority of those links with a second tier. Build a third tier of links to the second tier using all of the low quality links. Understand & Use Anchor Text Properly in the whole Multi-Tier Link Building Process & you can also read Anchor Text Usage & Distribution Guide here to find out the most precise anchor text distribution to rank your site. "Link Velocity + Quantity” is vital to stay protected from Google penalties. Make sure you read the Optimum Link Velocity Guide here before building backlinks for your Site. Avoid Low Quality PBN Links & other Automated Links. Build Strong On-Page factors of your website.